We use our iPhone 7, Samsung Galaxy S7, digital cameras, camcorders, DSLRs, etc. to capture HD videos for keeping the good memories. So it is upset that the video is corrupted. Here we pick 4 best HD video repair utilities for you to repair HD MP4, HD MOV, HD AVI, etc. on Windows or Mac easily. 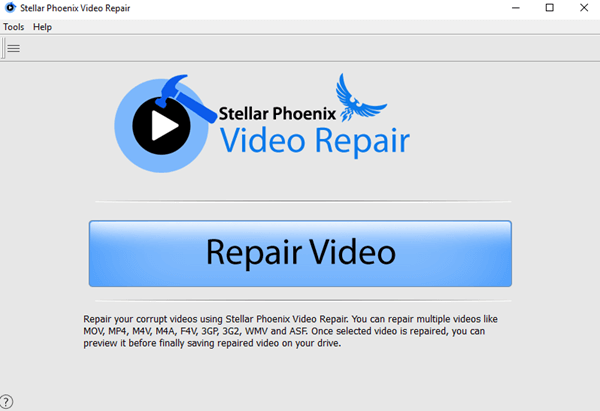 Stellar Phoenix Video Repair is a well-known video repair tool to fix corrupt or damaged videos including MP4, MOV, M4V and FLV. This tool repairs video damaged from various issues like header corruption, sound corruption, movement corruption and duration corruption. 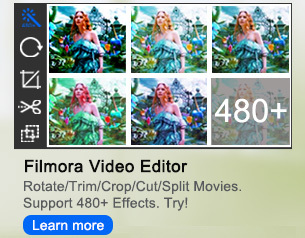 In addition, it allows you to repair broken HD videos in batch. You might already have VLC Media Player installed on your computer. But do you know that VLC is also a AVI video repair which has the ability to repair the index for an AVI file. When you open the damaged file, you'll get a message asking what you would like to do: Build index then play, Play as is, or Do not play. Remo Repair MOV fix your corrupt, broken, and unplayable videos quickly. It can repair MOV and MP4 video recorded by your phone, cameras or camcorders in just a few clicks. The software analyses the video, separates out audio & video streams to identify the issue, fixes them and then adjoins the streams to create a new healthy playable MOV or MP4 file. Yodot AVI Repair enables you to fix corrupted AVI files. Along with AVI, it can also repair XVID and DIVX videos. It can repair corrupted AVI files created by famous DSLR cameras or camcorder brands and it repairs corrupted AVI files from your hard drive, memory card, USB drive and iPod. It can fix video corruption due to firmware error, memory card error, file transfer error, file system corruption, OS-reinstallation, etc. For the different video damage cases, you may try different software demo/trial versions first before you make a final decision. 2. What is the difference between "Full Version" and "Demo/Trial Version" ? Generally there is no difference in basic functions between "Full Version" and "Demo/Trial Version", but "Demo/Trial Version" does not support to save repaired video files and has limitation on file size, for example, some "Demo/Trial Version" can only repair and preview video files within 10MB.